This weekend was rough. I have been having panic attacks during my pregnancy and they came to a head with me crying hysterically on the side of the road while Mark and Behr were out of town camping. I have been hesitant to call these mini-breakdowns anything since keeping my cool has never been a strong suit. But after reviewing their frequency and the triggers, things as silly as a long line or a malfunctioning safety pin, I am beginning to acknowledge that this is more than I can control. I am holding on to promises. I am also taking things bit by bit, embracing the simple joys. I am practicing prayers of thanksgiving and one of the things I am most grateful for is my growing family. 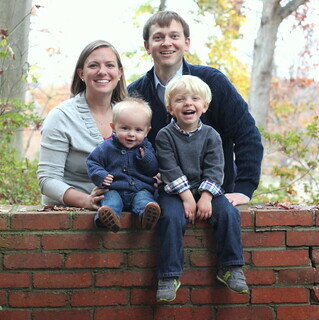 My sweet family brings me great joy. Remembering the fun that Behr and I had spinning in the park at Esplanade has been a recent encouragement to me, and I am so grateful that Mark took a million pictures so I could make this mini-animation. I am also grateful for our friend Mike who spun Behr and I around! I am clinging to God's promises for me. That does not sound fun... I'm sorry! In so many ways, the second pregnancy is just different from the first... I will pray for you to find some answers. I admire you for being honest about it all. It helps others to not feel alone... blessings! I'm so sorry you have to go through this. Just remember you're an amazing lady, and I'm so happy to have you as my friend :) Keep yo head up! I'm glad you're facing this head-on; there are so many people who just let it consume them. Love ya lady. Thankful for how freely you express your faith on the blog, and how honestly you write about life and motherhood. GRACE & PEACE to you! girllll. that is so hard. as a mom who can be a bit anxious at times (that's me! you'd have never guessed, right?! ), i can relate. i don't know much about meditation but i think it's pretty awesome. what i hear, anyway. yoga? walks at night? enough sleep for sure. it's not easy. take it day by day. I'm sorry to hear you're feeling this way. It is hard. But I'm with Bridget, try yoga. It feels good and is a pretty great nerve "calmer upper". I suffer from anxiety and it is the worse. (I am actually scared to have kids because of it.) Thank you for being so honest about it. I still haven't brought myself to talk about it on my blog. Therapy and pilates has really helped me. And definitely, sleep! Which I am sure is so hard to do with a toddler.